That’s a wrap on the second quarter of 2018. We know what you’re thinking “How are we half way through 2018?” Three ads among the Top 10 Breakthrough Ads of Q2 are Father’s Day promotions that focus on the impact men have on their children’s lives. Like last quarter, there are several spots with Attention-grabbing, lovable pets. It’s proving to be a common characteristic among Breakthrough ads as dogs, cats, and other animals are universally appealing. On top of that, there are seasonal ads from Colorado Tourism and Sonic that capture the essence of summer vacation. Below are this year’s top Q2 ads ranked by Breakthrough performance, which combines the Attention and Likeability component scores. These are the best of the best, achieving Breakthrough levels recorded by fewer than 1% of all ads. Earning the top Breakthrough spot is Verizon’s tribute to all the honorable members of our military, “Military Appreciation.” Verizon makes the list for its second consecutive quarter, with its similarly-themed Super Bowl spot making the list in Q1. Due to the Likeable nature of the ad, the 60 second version (#1 on the list) held Attention better than the shorter, 30 second version — not what one would expect for a long form ad. Coming in third, PetSmart’s “Stages” is filled with sincere storytelling about the relationship between a pet and its owner. Viewers enjoyed the Relevance of the characters and the message. Through cute cat videos and voice overs, viewers feel like they are experiencing the Amazon Fire TVs’ capabilities firsthand. “Extra Strength” by Iams — another pet ad on the list — metaphorically demonstrates the importance of quality dog food. While animals were the focal points in both the Amazon and Iams ads, the products played an integral part as well. One might wonder what dogs have to do with pizza, but Papa John’s cleverly tied together a promotion for a new deal and 12.99 adorable seconds of puppies in “Better Play.” However, puppies upstaged the $12.99 Papa’s Meal Deal and the brand. Unaided recall was low for Papa John’s at 64%. Since all eyes were glued to the dogs, maybe some logos on their sweaters could have boosted brand recognition. The Message was the key creative driver for all three Father’s Day ads. In its new campaign, Dove Men+Care challenges stereotypes that plague the role of father while also raising awareness for paid paternity leave. 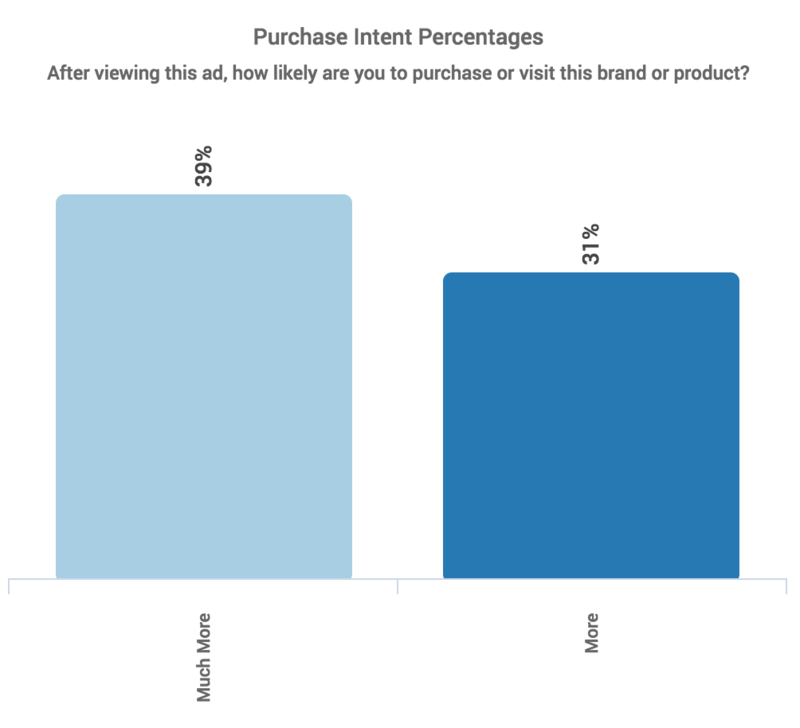 Their “movement as a message” resonated with all viewers, but did especially well among females — 43% of whom were ‘very likely’ to share the ad with their social circles. This is Dove’s first time back on the Breakthrough list since another one of its Father’s Day ads (Caring Makes My Dad, My Hero) placed in 2016 Q2. Huggies shares an emotional story about a new father whose love and affection proved to be the best ‘medicine’ for his premature baby. The ad pulled the most heartstrings among the top 10, conjuring up a strong emotional response from 77% of viewers. The emo word cloud below illustrates the vast amount of responses related to the ‘heart’ (pink). “Reinvent Connections” is another tear-jerking Father’s Day ad from HP that portrays the bitter sweet balance of life. It earned the highest Relevance score among the top 10, and scored significantly above advertising norms for every metric we measure. Sonic’s milkshake spot is a mouth-watering reminder that summer is here. Instead of the usual two guys sitting in a car, “The Perfect Shakes” used product closeups. 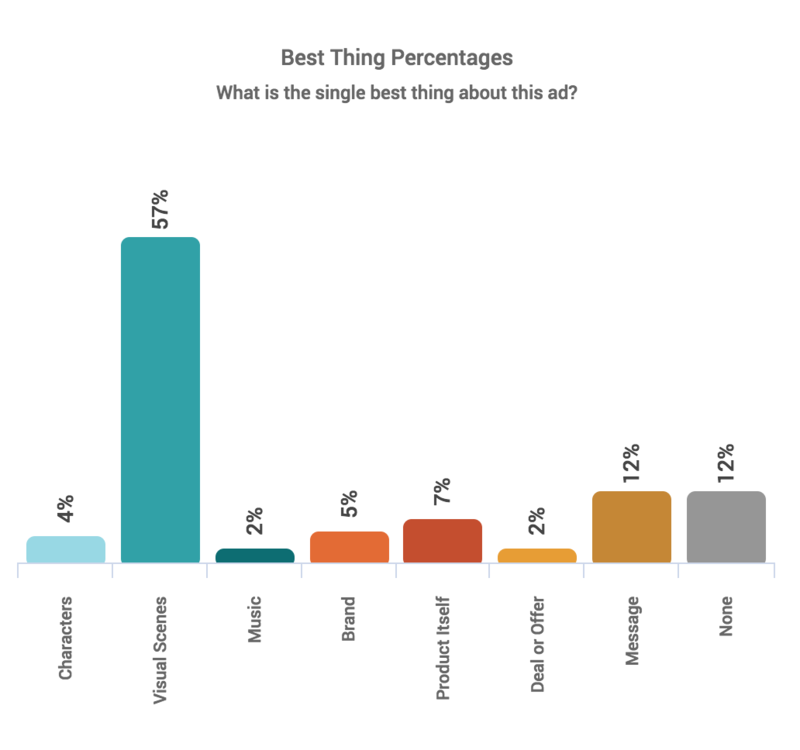 The Product Itself, named the Single Best Thing, was enough to drive Desire among viewers, 70% of whom reported positive purchase intent. Congrats to all the brands that made it on our list of Q2’s Top Breakthrough Ads!